We are equipped with skilled experts in every department as a Supplier, Exporter and Importer. We undergo a meticulous vendor selection process to find vendors who manufacture under the stern guidance of qualified professionals who deliver nothing but unparalleled quality. Our distribution network allows us to facilitate quick and convenient delivery in a matter of time at your doorstep. 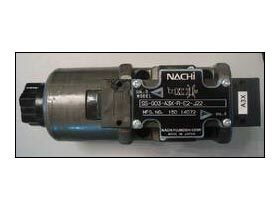 Nachi Directional Control Valves provides your machinery a very high boost to produce even more quality in products.